Heeeyyyy Happy Monday! Here's to another brand new week. We had a rocking weekend. Celebrated Noah's 10th birthday and had an awesome time creating memories. Can't believe Noah's hit the double digits! While he's growing up to be one handsome, intelligent and gifted boy - I'm just staying young and timeless. Ha ha. From surfing to skating this weekend it was one active and adrenalin junkie weekend!!! Super proud of Oscar on his skateboard at a skate park for the first time!!! No fear..... check his video here. We then got back home in the late arvo so I could meal prep for the rest of the week. It makes my life so much easier if I take 1/2hr on a Sunday to simply prep vegetables and have meals ready to go, come 5pm every night. 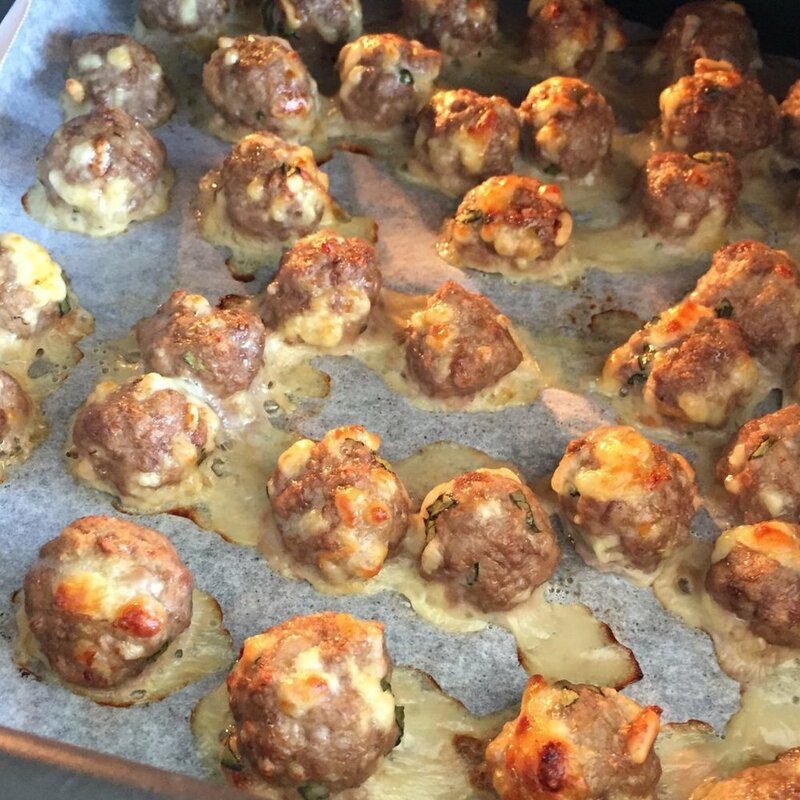 I showed a sneak peek of my mozzarella meatballs on Instagram last night. The house smells amazing!!!! How's your sleep coming along? I'm getting an average of 7hrs but got some interrupted sleep over the weekend with poor Zali. So I'm sitting at 74 hours. How about you? Register here for this months sleep challenge and leave your hours in the comments below. Happy Monday and get to bed early tonight!